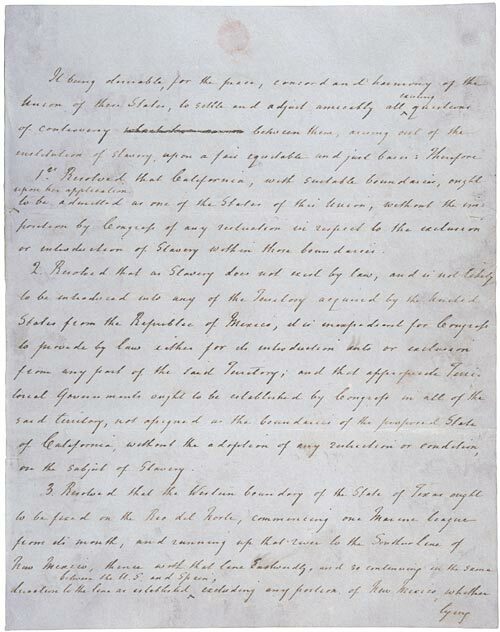 The annexation of Texas, as well as the territorial gains resulting from the Mexican War, led to a renewal of the national debate on the extension of slavery. 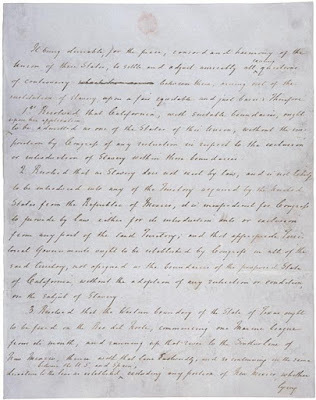 In an effort to keep the peace, Senator Henry Clay crafted the Compromise of 1850 to replace the Missouri Compromise of 1820 (also authored by Clay). The following resolutions were presented in committee and became, in effect, two separate bills, one dealing with territorial arrangements and the other with the slave trade.